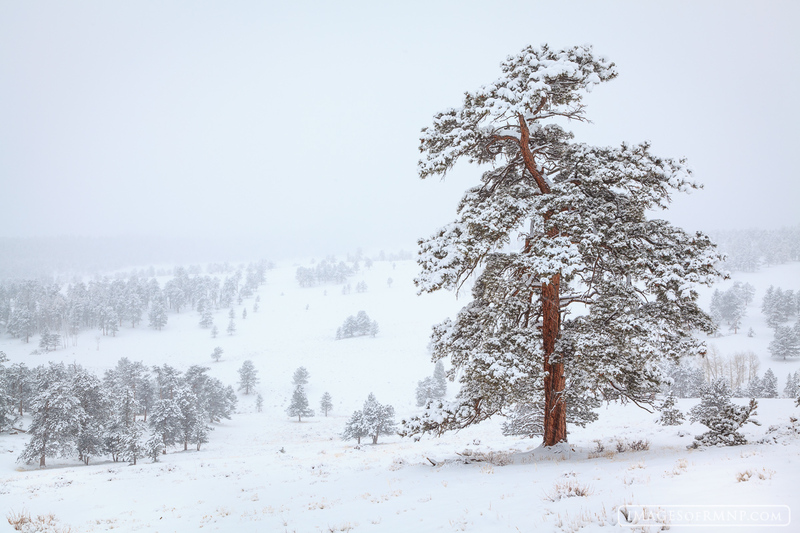 A lone ponderosa tree stands in Beaver Meadows on a snowy winter day. The shape of this tree reminded me a bit of the Japanese Bonsai trees. Perhaps I just need to get a bit more sleep. ;-). Photo © copyright by Erik Stensland.